Heather Hudson is a talented surfer/filmmaker from Santa Barbara, California. Seven years after her original acclaimed film, The Women and The Waves, Heather presents her the sequel, this time with a new lineup of inspiring women and an inspired theme. We spoke with Heather to learn more. What inspired you to create and direct another The Women and The Waves movie? The launch point of inspiration to make this film came a few years ago, when my friends, [Zeuf Hesson and Ashley Lloyd] who were featured in my first film (The Women and The Waves - 2009) each experienced pivotal moments in their lives. Zeuf received her final cancer diagnosis and at the same time Ashley found out she was pregnant — I realized that I wasn’t done with telling stories of women! It was a poignant reminder to live each day with gratitude for one another and the world we live in. And to celebrate even the smallest joys in life. Life goes on whether we are here or not. I wanted to capture that on film. You have a new lineup of women. Tell us about who you chose for this film and why. What were some of the challenges in making this movie? Just like my first film, making this film has been an amazing process for me. I solely produced and directed the first film. (My friend, Peck, filmed and edited the first one.) I decided that if I wanted to make films, I’d better pick up a camera and do it. And, I’d better learn how to edit! So, that’s what I did. The biggest challenge was doing it on my own and learning as I went along. Oh and ruining two water cameras along was definitely not fun. But I got some great shots! What can we expect to see in this follow up film? 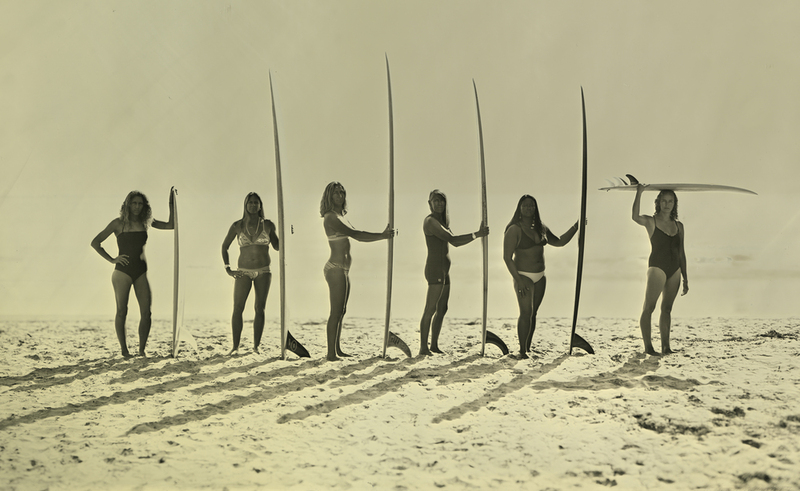 You’ll meet some inspiring women who work hard and surf really well. They all are so very unique and have chosen paths in this life that are productive and impassioned. I also want people to think about their own lives and make choices that will make them be the best they can be. We are all works in progress. My niece wrote: “You don’t have to surf to be swept away by the message of The Women and the Waves 2!” And I agree. We surfers are people first. And I believe that seeing surfing from a feminine perspective is invaluable. You’ve entered the film in several festivals. What has been the audience reaction to it? I think the audience is seeing something they may not be expecting. In my experience, most people hear “women’s surf film” and they expect to see girls in tiny bikinis with music. Audiences seem to be pleasantly surprised by the content and story of this “present moment” film. I’ve been told that the cinematography is really good! While filming surfing, a lot of time is spent waiting on the beach for surfers to catch the set waves. So in between the set waves, I enjoy looking around and filming the beauty that surrounds us everyday. I hope that others will enjoy that. I’m also told that the film’s got “SOUL.” You’ll have to see it to find out why! What’s next for Heather Hudson? My original tagline for The Women and The Waves 2 was a“Feminine surfing perspective,” but when the film was completed it became “We only have the present moment. How will you live it?” That says it all for me. I think the challenge for me is to just be. That is what is next for me. To try to live more in the present moment and not take anything for granted. That is the message of my film and it’s my offering to the world.